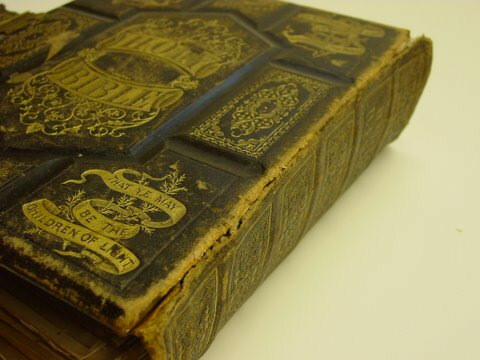 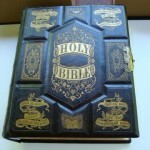 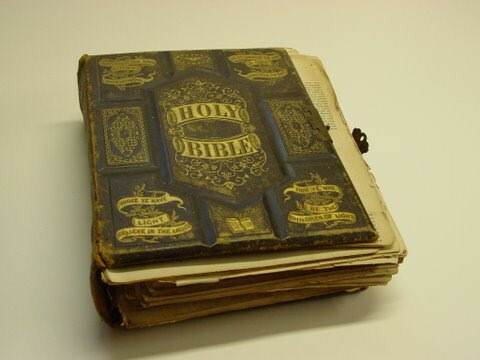 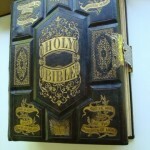 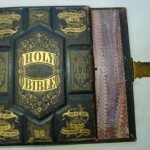 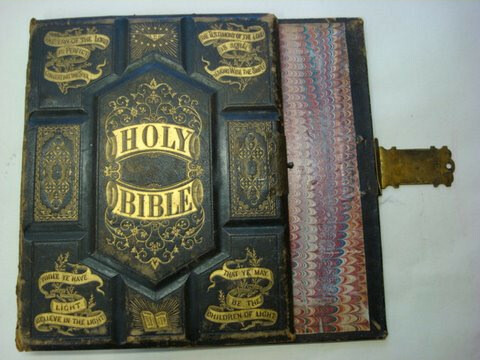 The Bryan Family wanted their Bible restored because of its meaning to their personal history. 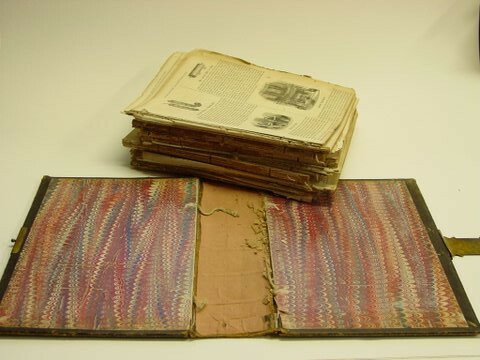 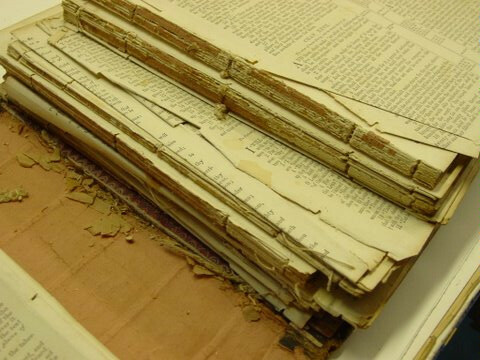 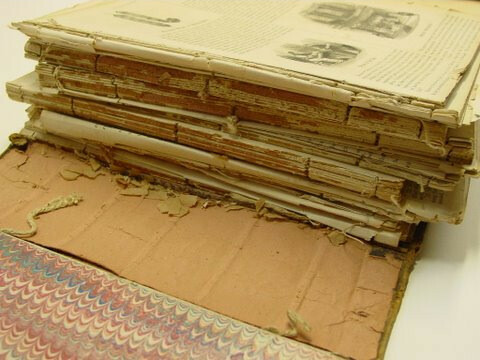 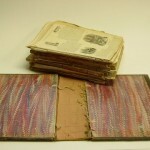 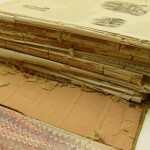 The entire book was broken apart, the leather was deteriorated with dry rot, joints were separated, many pages were dirty and torn. 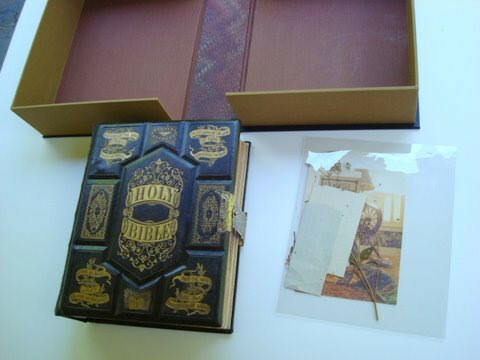 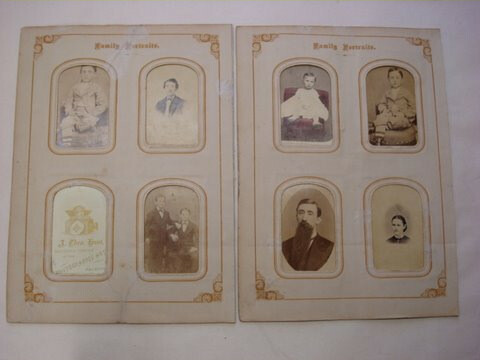 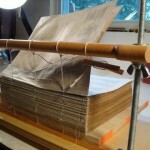 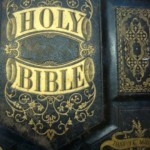 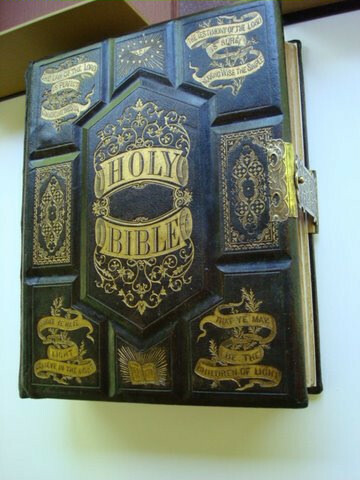 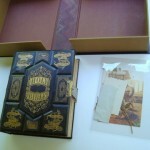 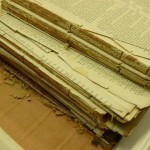 Photos pages at the back of the Bible had rips and missing parts resulting in loose images. 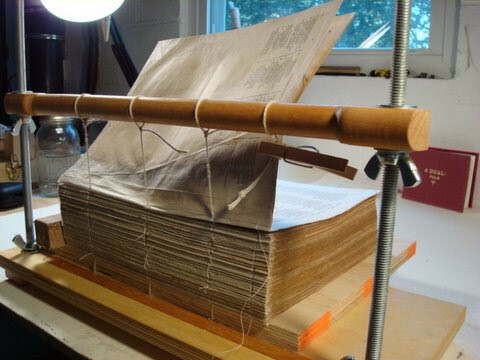 At Light of Day Bindery, we work with families to preserve their precious books and documents with a sensitivity to costs. 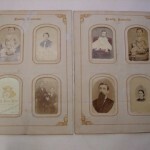 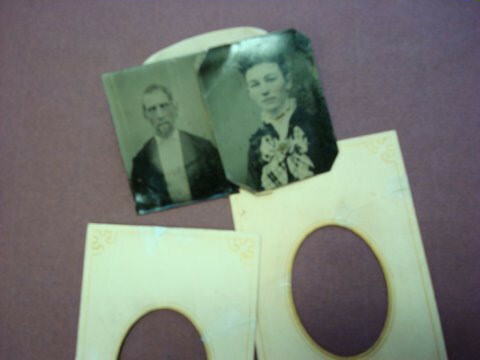 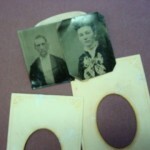 We always try to understand the family’s reasons for wanting the work done and match the repairs to the intended use. 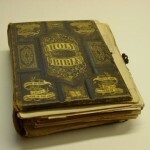 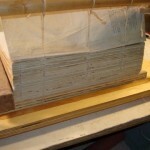 Whenever possible every part of the book is cleaned, repaired, reinforced and used again. 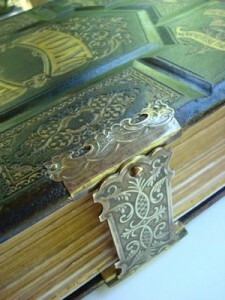 Attention is given to the smallest detail with great respect for historical importance. 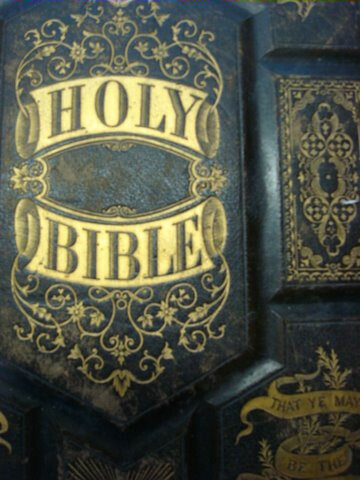 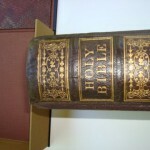 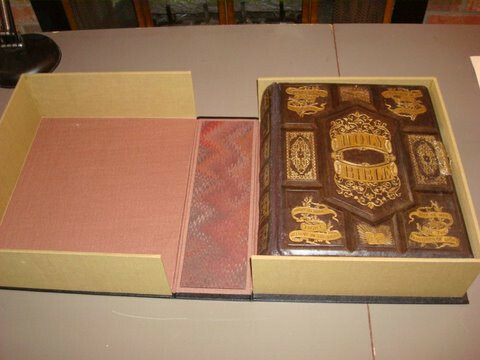 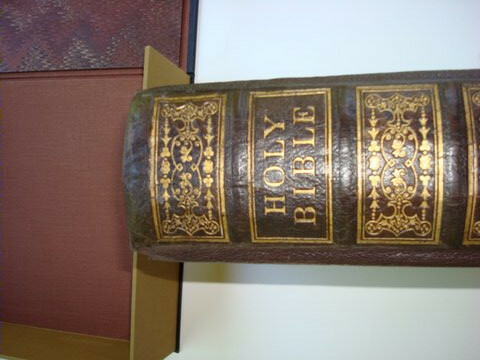 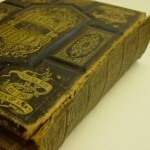 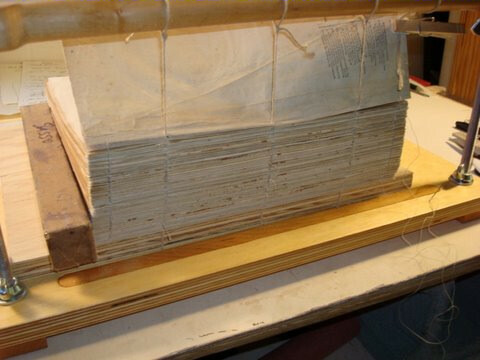 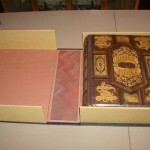 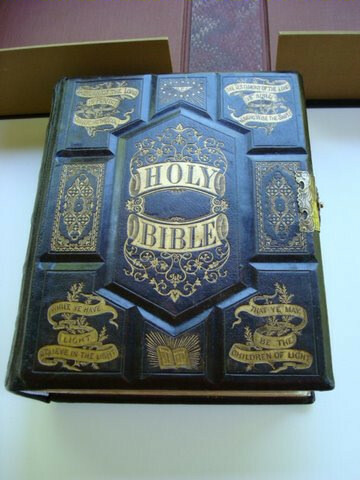 The Bryan Bible took a month to complete the restoration including the clam shell box.